Barrier Solutions had the pleasure of hosting representatives from U.S. Congressman Collin Peterson’s office last week. 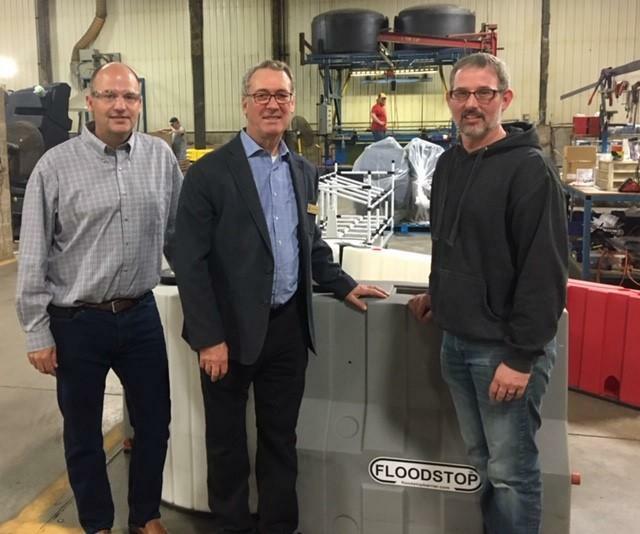 Jacki Anderson and Grant Herfindahl took a tour of Barrier Solutions and discussed how our Floodstop modular flood barrier is being utilized protecting assets across the US from major flood events.